Joomla Virtuemart Multi Vendor Marketplace: This remarkable add-on enables the user to convert Joomla Virtuemart store into Multi-vendor/seller marketplace with the concept of single store front. 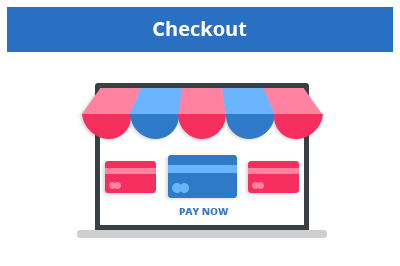 This multi-functional shopping cart solution will be able to create a sophisticated, full fledged online marketplace where sellers can manage their sales through a common interface. 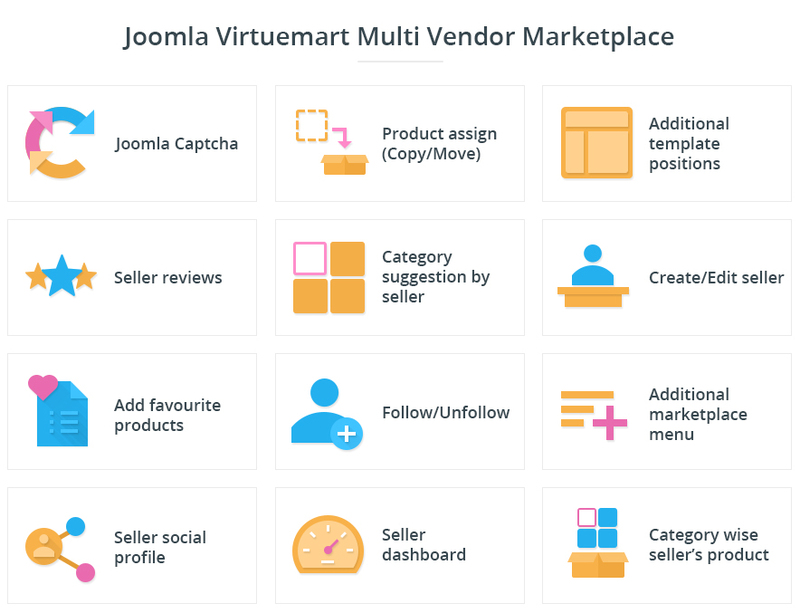 Did you buy Joomla Virtuemart Multi Vendor Marketplace? Does this module supports separate seller profile? 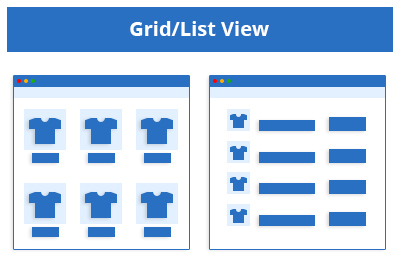 Yes it does support separate seller profile, the shop view of seller shows information of seller along with its products, for the customer on his/her store, when the seller is logged in he/she can check all the orders products and payments, seller can also set the profile to be displayed in the store and the payment methods. Does this module allow seller/vendor to list their product? 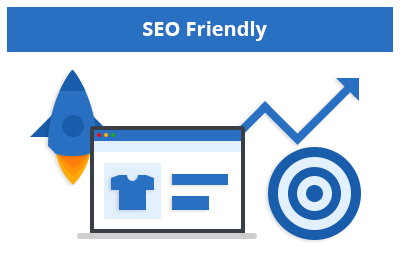 Yes it does, for a customer the seller products will be listed in seller profile page and category view is also available, a seller can upload their own product and they can edit the details as well. Can we customize the extension as per our custom requirements? Does the module works on multi-domain? Yes it does, you can install the zip file on N number of domains but we offer support for only one domain. 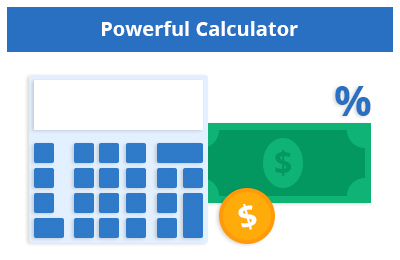 Yes, it is there under Administrator Components -> Marketplace for Virtuemart-> Commissions-> Update Commission-> Commission Type ( Fixed or Percentage), the amount earned by the admin on the commission is adjusted as per settings so that the admin will only pay the amount to seller deducting its commission. How can a seller get a notification about their orders? 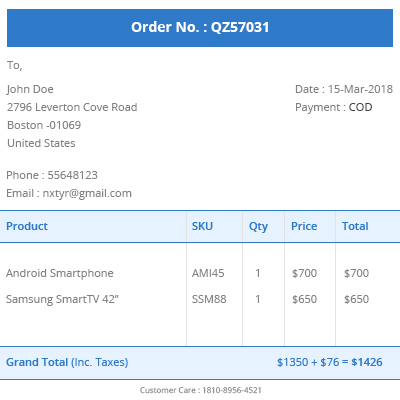 As soon as the buyer purchased the product successfully means the payment done, an email would trigger from our Marketplace extension to the respective seller about the details of the purchase order. Is there any way by which seller can contact admin? Yes, there is an option in Seller- Marketplace Menus "Ask to Admin" where seller can ask admin for any query, the query will be mailed to admin and also will be stored for future references, these can be view by the seller on FE and the admin on the Administrator end of marketplace as per the sellers. How can seller request for payment to site's admin? There is option Ask Admin by using this seller can ask an admin for payment, also if the Seller has set the payment method on his profile the admin can pay using PayPal, or using cheque or cash using the COD option. But there is no separate option specific to Request payment. 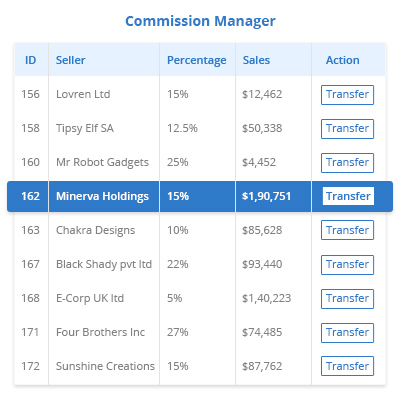 How can we split the payment between admin and seller? We have created another extension by which payment will be split into admin and seller. 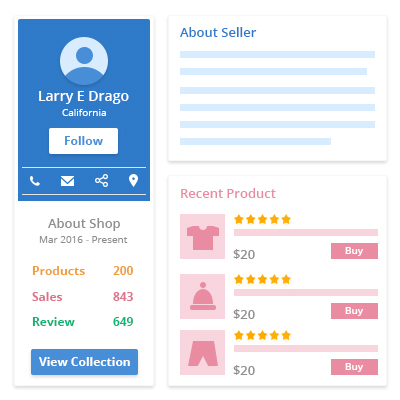 Seller or partner can monitor sales from their dashboard. 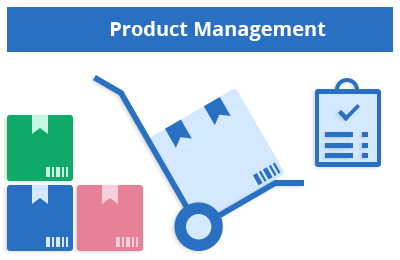 Which shows Most Viewed product(in MP 5.2), also options to see world map for sales, pie chart sales graph and latest 5 orders are displayed in the list. 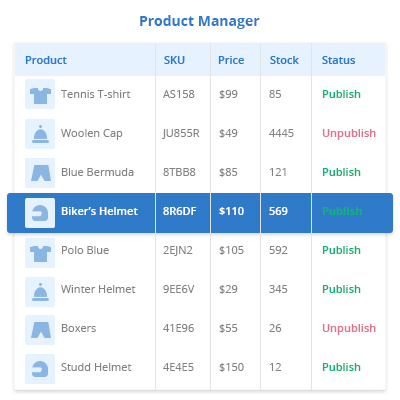 We have created an add-on module for adding attributes from seller front end. How can seller add a custom field? We have created an add-on module for adding custom options from seller front end. When seller will upload a new product, a product will be in pending state. After the admin approval, a product will go live on the store. Also, admin can set it automatic so that for every product upload admin don't need to check the product upload, mail template in the configuration will be used to send mail for both conditions. Yes, under Seller Marketplace Menus-> My Profile-> Social Profile, options are provided to link Facebook, Google+, LinkedIn and Twitter account. How can customer contact to a seller? What about seller feedback, review and rating? 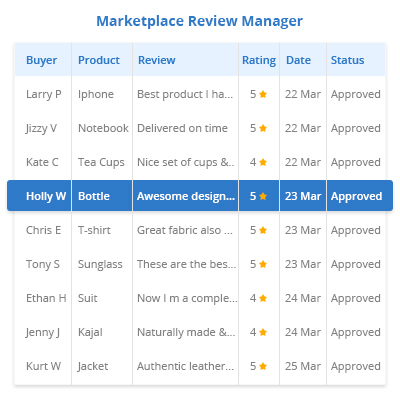 Under seller profile customer can see the "Reviews" where he can also add his review, the review can be set to admin approval or automatic publish. What about Seller feedback moderation? There is an option Seller Marketplace Menus>> Order History. The seller can update/edit the order status from their end as well as the product status. Is there any involvement of admin during signup process as a vendor or an option for excluding/ including of admin's involvement? 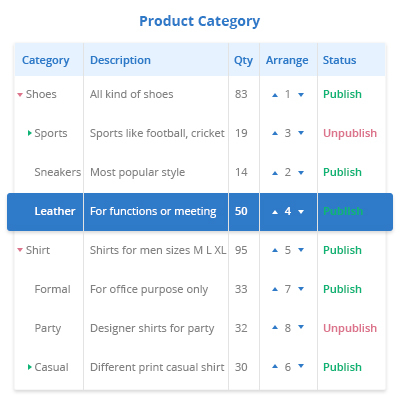 There are options from admin, either he wants to moderate the vendor or automatic approval, these settings also depend upon Joomla user settings, also if the admin does not want to approve seller request the user will not be able to send the request again until the Admin delete the seller. You have a Paypal adaptive payment extension, I presume that buyers can still use credit cards at the payment stage if they don’t have a PayPal Account? Yes, PayPal offers that. You can use cc to pay from PayPal. Can a customer follow a Seller? Yes there is an option provided for the customer to follow the seller, the followed seller can be view on the buyer view(In MP 5.2). Can Admin add Terms and conditions for a seller? Yes, Admin can set the Terms and Conditions for a seller for adding product and registering as a seller. Does the extension support the Joomla Captcha? Yes the admin can set the Joomla captcha for User Register as a seller and Add Products. Can a seller register as a seller using Facebook Account? Yes the Admin need to add the Facebook App ID and Secret in the marketplace to enable Facebook login, and all the store user can apply for a seller account. Does the Marketplace support the custom mail template? 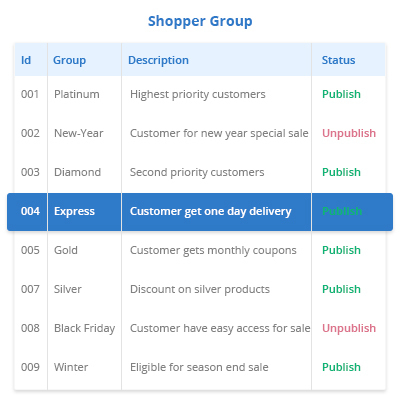 Yes the marketplace supports the email templates and Variable associated with each template to send the mail for different store actions.